Due to technical difficulty with printing receipts, we will have our Sidewalk Sale Tuesday, July 31st from 11:30-3:00 instead! 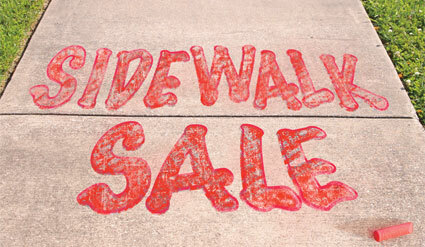 We are having a Sidewalk Sale Tuesday, July 31st outside of our store entrance. Some of the items are up to 75% Off. We are slashing prices off of select items like- Sweatshirts, Key-rings & Belts, Tees & Tops, even Books! Come check out just what is being priced so low you’ll be amazed. The sale is only going on from 11:30 – 3:00 Tuesday, so hurry over and and get in on the fun and save while you’re at it!